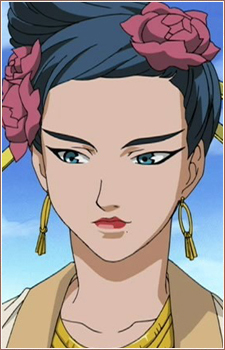 She was the mistress of Fu-ou, a previous ruler of Sai. Before meeting Fu-ou she was a prostitute. Fu-ou made her a sage and the mistress of the Suibi Grotto, where she lives. After his death, the Sai-ou who ascended the throne allowed her to retain her rank and possessions. Riyou is a mean-tempered woman. She made Suzu a sage in return for Suzu becoming her servant. However, Riyou was unkind to all her servants, and especially came to delight in abusing Suzu as long as Suzu never gained the strength of will to fight back.